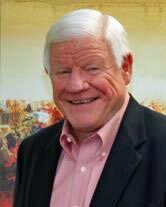 Charlie purchased Polar Systems in 1993 following a successful twenty-two year career in sales, marketing, and general management with the IBM Corporation. 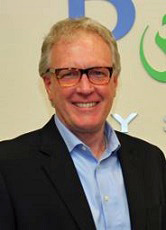 He held the positions of Regional Manager for the Northwest and General Manager for the Oregon Trading Area. Charlie strives to grow the company in order to continue to provide an ever increasing number of technical solutions to our clients. The key to success is identifying solutions and technologies that can bring the greatest value to our current and future clientele. As the president of Polar Systems, Tim works to align innovation and technology with the business needs of more than 200 customers and partners. With a background in corporate finance at Applied Materials and Extreme Networks, Tim brings 15+ years of experience consulting on IT solutions. In the rapidly changing technical landscape, Tim is committed to providing industry thought leadership and best-in-class technology solutions to enable our clients to maintain a competitive advantage in their particular vertical markets. Kenny has held a wide range of roles in his career including consultant, network administrator, and project manager with 17+ years of experience installing, supporting, and managing systems. With Polar Systems since 2005, Kenny brings a high level of experience in the vertical markets of health care, finance, insurance, manufacturing, engineering, architecture, and retail. 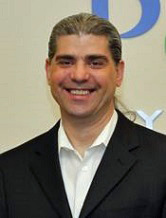 Kenny is an expert in network change management with a focus on storage area networks (SAN), network architecture and security best practices, virtualization, Citrix, Windows, Novell, and Messaging. Kenny can also be seen around town playing the electric bass with various musical ensembles. Jason brings 14 years of IT Industry expertise and 6 years at Polar Systems to his role as PolarStar Service Desk Manager. His deep well of knowledge in delivering IT services across a wide range of client industries has provided Jason with a vision of what works and what doesn’t work in Managed Services. 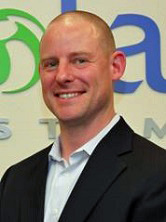 In his day-to-day role as Service Desk Manager, Jason strives to create a Service Desk that properly utilizes the vast experience and knowledge that exists within Polar Systems to provide outstanding service to our PolarStar clients – ensuring IT investments, business system availability and performance are optimized. When he’s not helping to guide the Service Desk Team towards greatness, Jason enjoys tabletop gaming with his 4 children and (occasionally) with several Polar Systems teammates. 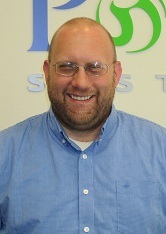 Gary Points is the Practice Manager of Network Infrastructure at Polar Systems. With 18+ years of network service and consulting experience, Gary has consulted to state and local governments, nonprofit organizations, startups, and professional firms throughout the Pacific Northwest. Gary has been with Polar Systems since 2002, and provides business consulting in the areas of IT management, project management, and network design & architecture. Gary enjoys travel, music, digital photography and spending as much time as he can with family and friends.